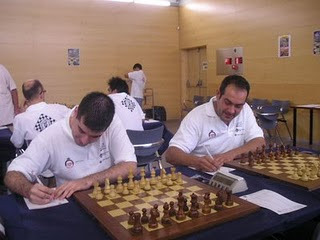 Half (2nd Group) of Spanish Team Championships (División de Honor) was held in Sabadell and CPA President and a member were hired to second the GMs. It was a really excellent experience! Sopiko (who was one of the two!) tells the stories here and here. Enjoy your reading!